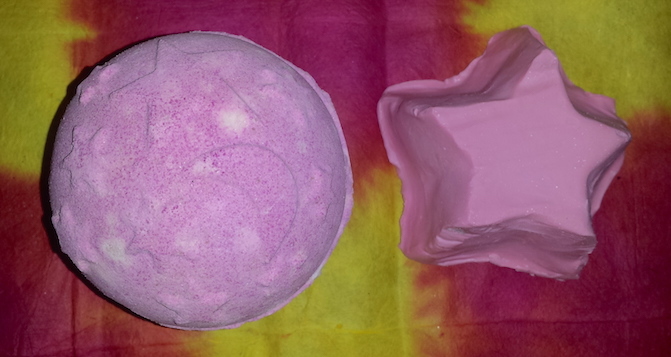 The Lush Cosmic Gift Set is a duo of Lush products consisting of their Twilight Bath Bomb and Rock Star Soap. Together they fit the 'cosmic' theme by them both being styled around stars. 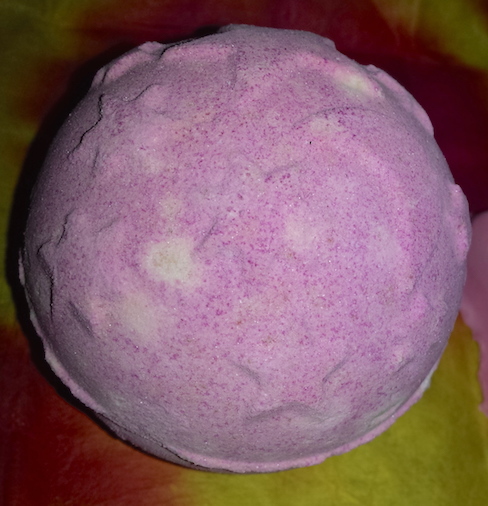 The Twilight Bath Bomb is designed to help you relax and get a good nights sleep. It begins by fizzing away with the colour of the setting sun and it gradually turns darker, leaving the bath water purple with sparkling glitter. Rock Star is a very sweet smelling, pink bar soap that contains Fair Trade Vanilla Absolute. In the Cosmic set, the soap comes in the shape of a star rather than a block. It is designed to smell like seaside rock. I received this gift set from my best friend for Christmas (Jess from Missnoodlebug - go and check out her blog! ), so I wanted to review it for you all! 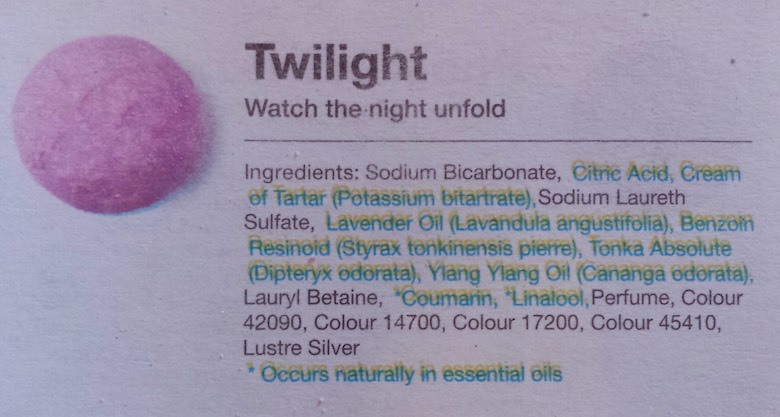 To use the Twilight Bath Bomb you need to drop it into a bath tub of water and allow to fizz away. You can get in whilst it’s still fizzing. To use Rock Star you need to rub it into wet skin, massage and rinse. Like with all solid bar products from Lush, I cut a section off before use as it helps to make it last longer. Once the water hits the soap it will begin to shrink with each use, so saving the rest and keeping it dry will mean that you're not wasting the rest. 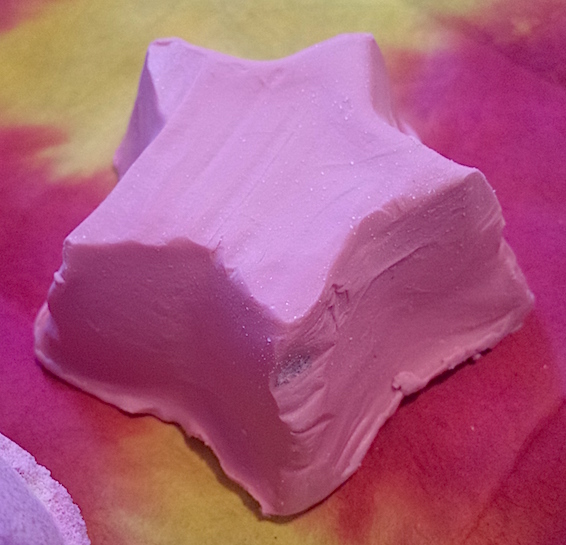 Not only that, but as the Rock Star soap was cut into the shape of a star (not sure if it is if you buy a chunk from store) it can be easier to slice a bit off to give you a smoother area to apply it to the skin. 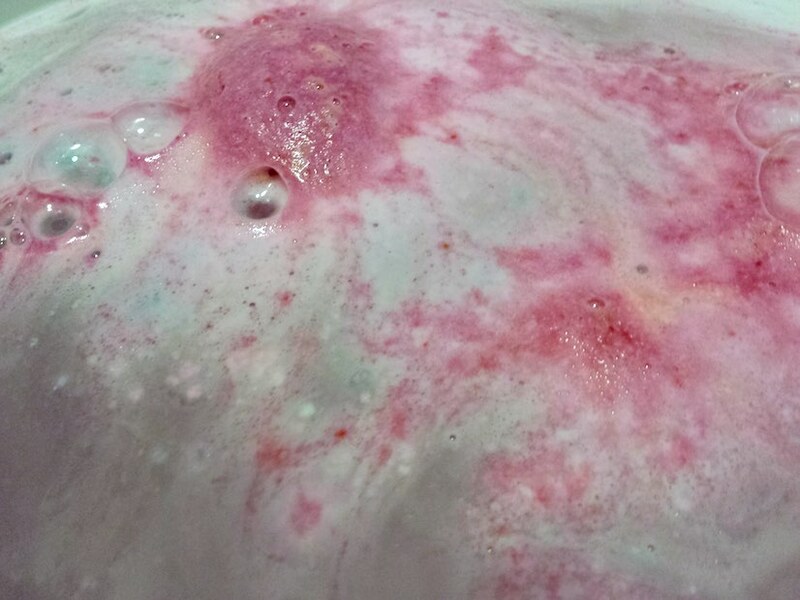 The Twilight Bath Bomb doesn't take too long to dissolve, providing a beautiful pink and blue fizz as it goes and a gorgeous smell of lavender, benzoin and tonka. After it has dissolved you are left with a purple bath with glitter. Once in the water you can straight away feel the softening properties of the oils which leave the skin feeling really pampered as you relax. The scent adds a calm atmosphere where you can get comfortable and cosy which can be accentuated with the addition of candles or a nice glass of wine (I'll have to stick to sparkling grape juice for now). Apologies for the blur, the green text was printed that way in the booklet! It's a great bath bomb to crack out before bedtime or to simply rest your mind during those hectic days. The Rock Star soap has the type of candy-sweet scent to it which compliments the Twilight Bath Bomb beautifully. The two together make a good choice. When using, it doesn't get into too much of a bubbly lather. Instead, it goes into more of a creamy lather. It spreads across the skin easily though and you don't need to use a ton to cover everywhere. It's easy to rinse off and it leaves the skin soft and smelling really sweet. The smell lingers for a while too! That may be something that you want to keep in mind as you can team up a sweet smelling moisturiser with it to create a nice, lasting scent. 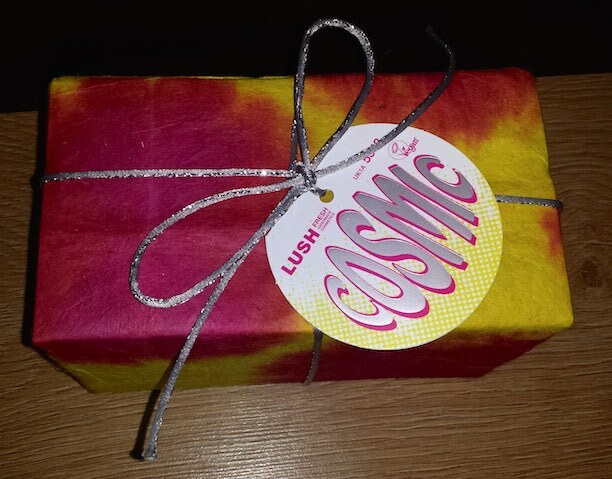 If you are looking at purchasing a gift for somebody who likes bath products then the Cosmic Gift Set by Lush is a great choice! Of course, it's still a great choice for treating yourself! The products work really well together and they make you feel really relaxed, cleansed and pampered. Because of this, this gift will probably be especially brilliant for those you know to be pretty busy as it will help them to relax and sleep and start again anew. Alternatively, if you don't want to buy the gift set, you can purchase each of the products individually. 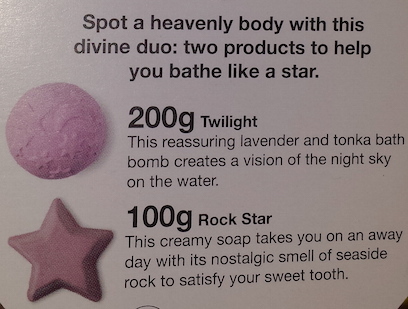 You can purchase the Cosmic Gift Set for £9.25 from Lush, or you can buy the Twilight Bath Bomb for £3.35 and the Rock Star Soap from £3.40 (100g - price will vary depending on how much you buy). What are your thoughts on Twilight and Rock Star? What's your favourite Lush product or gift set?